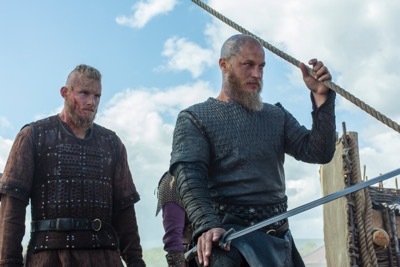 Home / Awesome Anushika • Reviews • Vikings / Vikings Season Four Episode 9 Review and Recap! Death All ‘Round! Events continue to escalate with one more episode left this season. Hope you all are prepared for the huge finale. 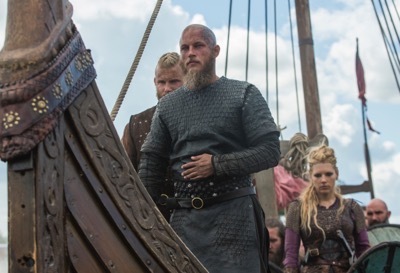 We return this week to Ragnar and his men hauling their massive boats over the hill. Now that all the boats are out of the river, their journey takes them through the thick forest. 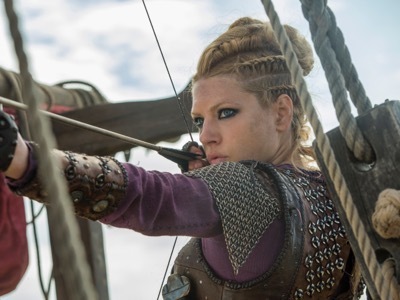 If you are unsure about how much time has passed, just look at Lagertha’s visible baby bump. It has grown quite a bit over the months. They set camp and “borrow” whatever they need from close by farms on the way, leaving bloody trails of course. As far as we know, Paris has no idea about Ragnar’s most recent venture. Little Alfred, Aethelwulf and Father Prudentius make their way to Rome. The roads are paved with poverty and famine; a not so glorious journey. The Pope is delighted to see the young Prince. He is concerned about what has been transgressing in England. Hence, looks forward to a hopeful future with the future King by building his righteous path with God and country. Ragnar’s sickness continues to worsen and Yidu’s “medicine” has left him even more handicapped than ever before as he goes through withdrawals. 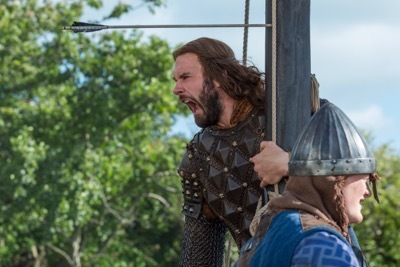 He is fighting the urge with all his might to save the very last bit of the drug to use in battle with Rollo. A battle that might be his last. Ragnar is driven purely by rage and vengeance; spoils of Paris are far from his sight. 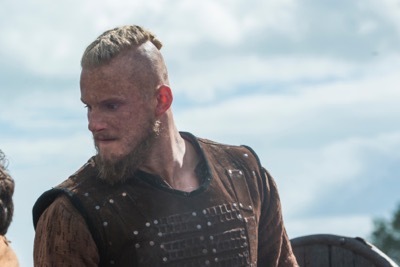 Meanwhile, Floki shuts off his senses to travel back to Kattegat, where he sees Aslaug hitting a new low. She is devastated after Harbard abandons her; the only one she counted on being by her side. Aslaug feels alienated by all her loved ones. Not sure what’s worse, actually being alone, or feeling alone when you are surrounded by loved ones. As predicted, Lagertha loses her unborn child. Even though her future is sealed, she hoped for a miracle; a chance to change her fate. Unfortunately, all her hopes come crashing down with the passing of her baby. Even though they failed to comfort her, Bjorn and Ragnar remain by her side. It’s rather eerie to see her so vulnerable and feeling alone. 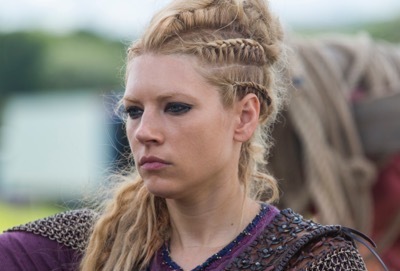 Lagertha needs a good battle to snap her out of this funk. In Paris, all seems to be in order. Duke Rollo is learning how to navigate through French court. 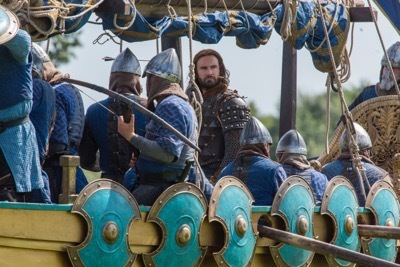 He assures everyone that Ragnar and his troops might have gone raiding downstream to avoid going home empty handed. As much as he knows his brother, even Rollo can’t imagine a possible attack from upstream. After the assassination of Count Odo, Emperor Charles names Roland his next Count; the protector and guardian of the realm. We all know that Therese has a hand on the matter. Everyone is happy about the newly appointed Count except for Princess Gisla, who is puzzled by her father’s decision. Once Roland gets a moment alone with the Emperor, he requests Roland’s permission to sleep with his sister Therese. I guess there’s a price for his new position. Roland grants his blessing; however, the Emperor seems to have another burning request. Speaking of newly appointed roles, King Ecbert and Alfred gets their own grand ceremonies appointing them as the King of Wessex and Mercia, and the Console of Rome respectively. We finally see Alfred smile for the very first time ever since they left on the pilgrimage. 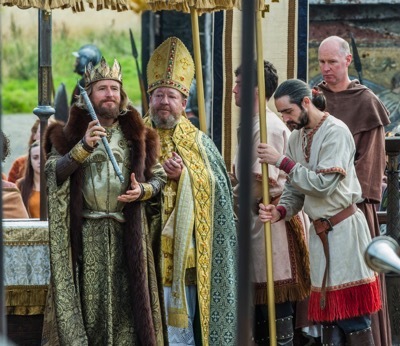 Sure, it’s all smiles in Rome, but back in Wessex, King Aelle is not too thrilled with the new Kingdom. He confronts King Ecbert accusing him of betraying his alliance and trust. It doesn’t take King Ecbert too much to shut King Aelle down. They started their alliance as equals; however, things have changed and King Ecbert urges him “to get use to it”. Ouch! Back in Kattegat, Aslaug finds comfort at the bottom of a chalice. Ivar continues to grow heartless, even with his own mother. Poor Sigurd is still alone and to makes things even worse, finds Siggy’s lifeless body in the river. Aslaug is too consumed with her own grief to care for Siggy’s passing. The evil duo carries on without giving her death another thought. Sigurd is not only disappointed with his mother, but disturbed by her disregard to a child’s death. After countless days of pulling boats through the jungle, the troops finally reach water on the other side of the mountain. They did it; they really did accomplish the impossible. Floki is back and is ready to spread his wings. The troops push all the boats back into the river upstream. Meanwhile, the Emperor is enjoying his peaceful downtime while it lasts. Instead of seeing Therese by his side, we see Roland. I did not see that coming. Now Roland is undoubtedly the most powerful man, literally next to Emperor Charles. To be fair, Roland did promise to “sacrifice” himself for the Emperor. 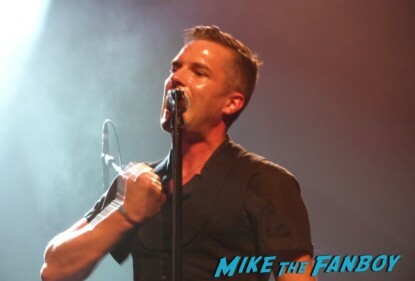 It’s always sad to see someone die, but if I’m not mistaken, this week we let out a huge sigh of relief. Torvi was forced to take matters into her own hands and she had to make a choice; and to our joy, she made the right one. Torvi took down Erlendur with his own bow and arrow. In death, his father’s ring was returned to him at last by Bjorn. The charade went on for far too long, and I’m so happy it finally ended with Bjorn yet untouched. It was great to see Torvi in action shedding her mousy guise. Moreover, it’s nice to see Bjorn respecting her, and not treating her as his property. Torvi has come a long way, and she is molding out to be a fierce shield maiden fit for a future King. Who else totally loved her makeover sporting her new crossbow? You go girl! Ragnar and his men are ready for round two. How long will it take Paris to figure out their attack plan? 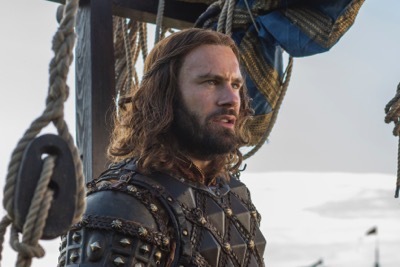 Will Rollo be able to defend his Frankian walls? Will Ragnar finally kill Rollo, or will he end up losing the battle? He is definitely blinded by rage and personal revenge. How will this play out moving forward? Only one episode left. So you know they’ll stop at nothing. It’s going down people. Get ready! Until next week, Happy Sailing! Anushika Gets Lucky With Twilight Breaking Dawn Star Kristen Stewart! Me? I Get The Shaft! Doh! Seen It! 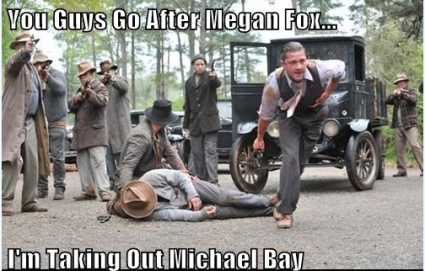 Suddenly Susan Takes A Crack At Lawless And Says Shia LaBeouf Isn’t Half Bad! The World Has Just Ended!